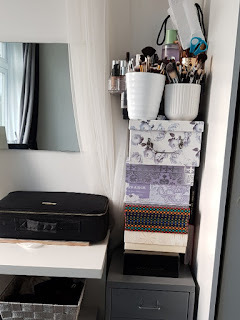 Ok so we all have our make up organised or a makeup bag to keep everything in one place. We even have our travel essentials which we arrange and sort out before we leave for a mini break or a long holiday. 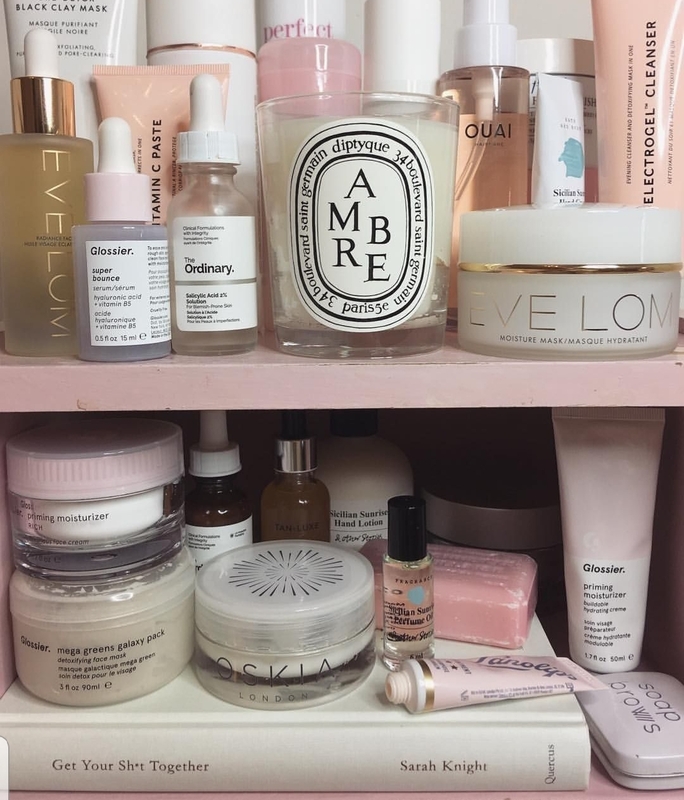 Well, Skincare should be a priority. 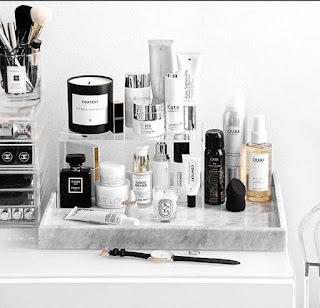 We should organise and arrange our Skincare too. Nowadays if you go through your social media you will see all these pretty organising and shelves, jars, cabinets all sorts. 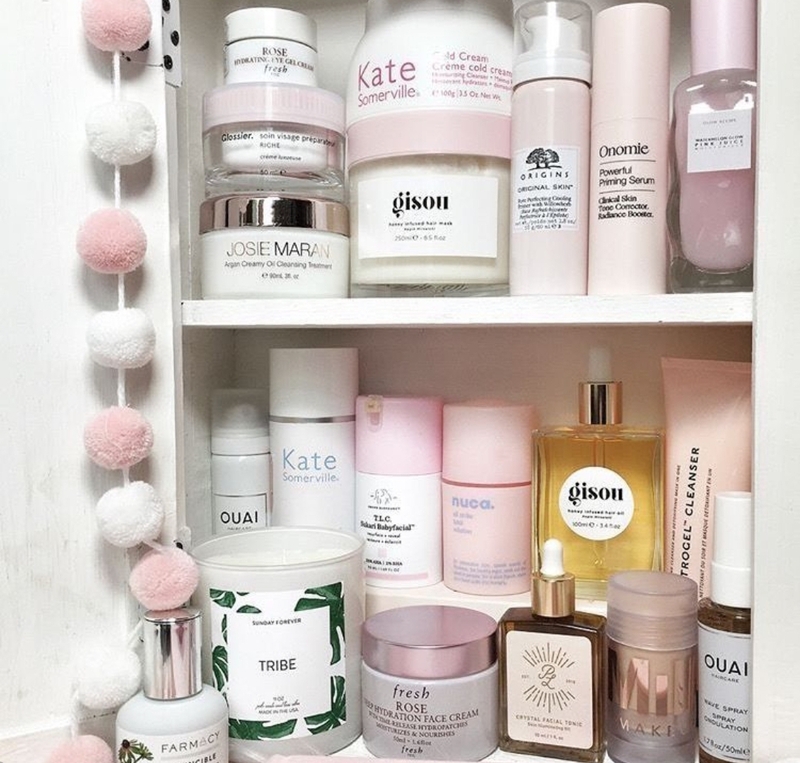 As well as looking amazing it actually helps inspire and keep you wanting to use and look after your skin once you're in a habit and have a dreamy satisfying shelf. If you haven't got a skin care shelf sorted now is the time. Either you start off using what you have right now. e.g bathroom cabinet or bedroom wall. 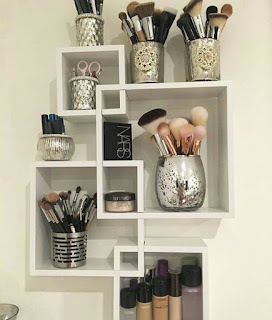 Why not get motivated and shop for a new hanging shelf or a small cabinet for your skin care products. I did mine today as most of you would have seen on my Instagram. 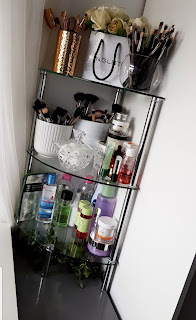 I have already got an idea of how i want to shelf my skincare products but i need a lot of time to shop for the right bits like hanging shelf e.t.c. so i used the space and shelf that i already had. This will do for now as my 30-day skin care challenge starts in 2 days. Ekkkk so excited. 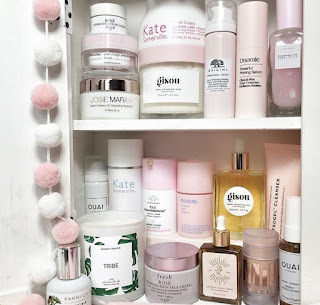 So during this month, you can shop and organise your skincare products properly as you want it. This is just a little motivation to get your skincare kick-started and space where you can enjoy using your products daily and weekly. 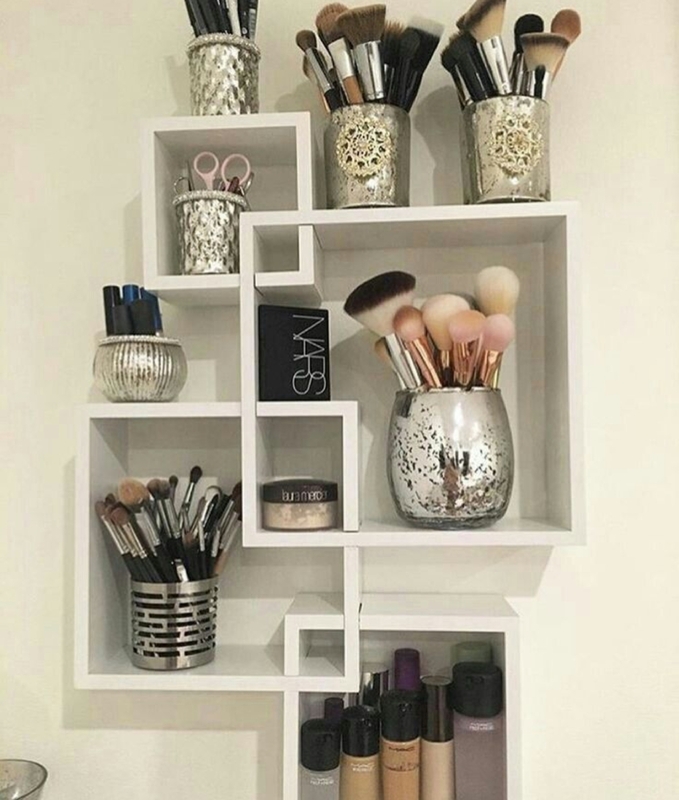 Love organising and having things in its place so this is a great way to start for everyone. Will update you all with my current skincare cabinet.